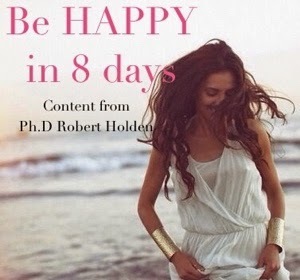 Do you want to improve your chances of happiness and success? Most of us want to. According to the book Change your words, change your world by Andrea Gardner it is all very simple, by just changing the words we normally use in life. With these five tricks it is possible to immediately change the results of what you want. Story: A beggar barely makes an impact on passers-by with a sign that reads "I´m blind, please help". A woman eventually picks up the sign and changes it to "It´s a beautiful day and I can´t see". Of course, the beggars get a lot more donations. When asking the woman what she did she tells him; "I wrote the same thing in different words". Speaking more slowly can have dramatic effects. First, slowing down will give you inner judgement time to assess what you´re going to say. Second, it will make you easier to understand. Pausing momentarily between words - as public speakers do- helps you make your point dynamically and memorably. For the talk with the boss it´s better, according to Gardner, to use words like "What I find inspiring is..." Not only will it make you feel better, but also promote happiness and positive feelings in the person you´re speaking to, and get you the results you hope for. Words just don´t have straight definitions; they also have nuances. When you´re talking about money for example, replace words like "debt" or "poor" with words that evoke positive financial experiences, like "I have a wealth of experience that enriches the team". 4. Replace "BUT" with "AND"
But is the ultimate limiting word, it´s just an excuse for not moving forward. Try changing the sentence from "I´d like to lose weight, BUT I hate excercise" (meaning impossible to lose weight I might just give up) to "I´d like to lose weight AND I hate excersise" (ok, how do I solve this problem, maybe doing excerise that I really like). The AND puts you in the driving seat and encourages action rather than impassivity. Borrow techniques from public speakers and summon your own positive thoughts around words. Just like a stage actor who's learned a script, summoning up practised speech is always easier. On a personal level I need to really practice on # 1 since being a real fast talker (I´m surprised I haven´t got a commercial deal yet, I can fit in any amount of words in any time:) and the #4 is a "new" one for me that I immediately liked. The initial story is also a short video, viewed over 14 million times on youtube. Watch it here! Great tips - always useful! Thank you! Wow, did you ever write the perfect post for how I was feeling today! I am going to watch this ASAP! Jag pratar ganska långsamt och tycker det är jättejobbigt med kulsprutemänniskor. Min hjärna kopplar lite långsamt tror jag. Tvåan är jag nog ganska ok på. Jag är verkligen en 'men'-användare. Där måste jag skärpa mig. I can tell you that they are true and that they work. I typically compensate for the fact that English is not my first language by talking faster than normal. It just does not work that well! I will take up on your advice and focus on the paste again. I spoke in front of 100 people not too long ago. It was scary but I did it and I got a lot of positive feedback. It was such a kick! I have no problem imagining that you were awsome to listen to for those lucky 100 people!